Harley is a Generational reverse black brindle. He is the foundation that our program was built on. Wherever we go, Harley turns heads because of his charm, color, and just how physically impressive he is. He is definitely man’s best friend. His pedigree weighs heavy with Olde Victorian blood. 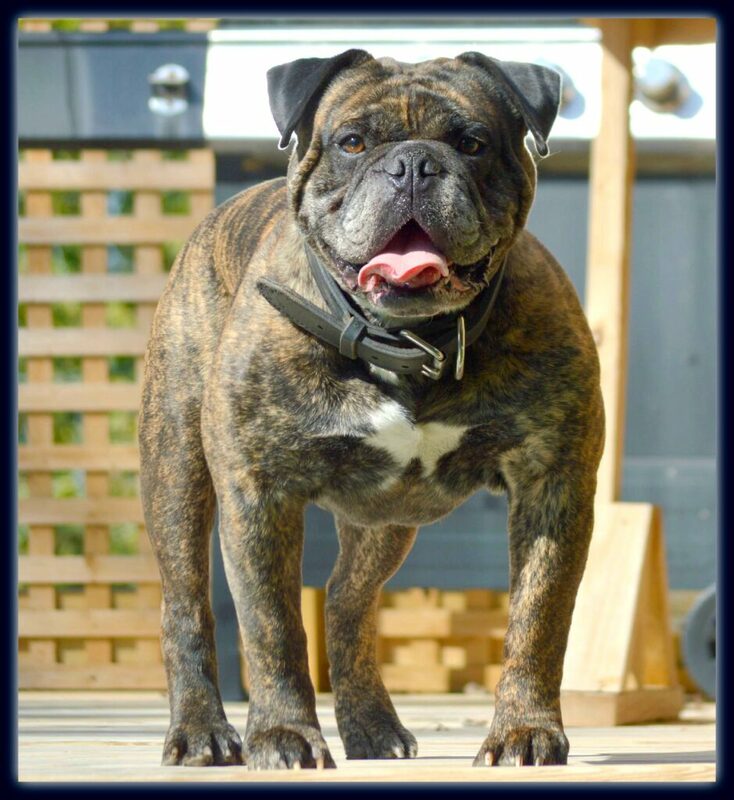 He is the epitome of a “Bulldogge” – confident, strong, athletic, loyal, even-tempered, and Mighty. We refer to him as our “Monstersaurus”!